Easy to use with external compression. The latest in hemostatic dressings for post-catheterization vascular hemostasis, Celox™ Vascular is made with chitosan, a natural polysaccharide that works independently of the body’s normal clotting mechanisms to quickly clot blood at the vascular access site. 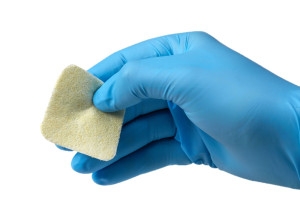 The sterile, Celox™ Vascular hemostatic dressing has the highly effective Celox™ Granules bonded onto the surface of the pad to make it easy to deploy onto your patients. In laboratory tests the patch stops bleeding significantly faster than gauze control, in a bleeding artery with a 16 Fr puncture15. 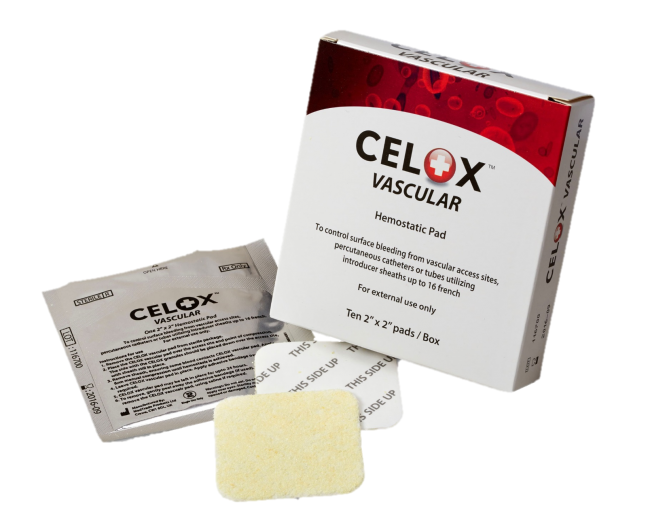 CELOX Vascular™ is indicated for the local management of surface bleeding from vascular access sites, percutaneous catheters or tubes utilizing introducer sheaths up to 16 French. The 2 x 2 inch sized hemostatic gauze patch has a flexible foam backing. Celox™ Vascular saves time compared to using plain gauze and pressure, in laboratory tests, and is more economical than products containing thrombin or clotting factors. 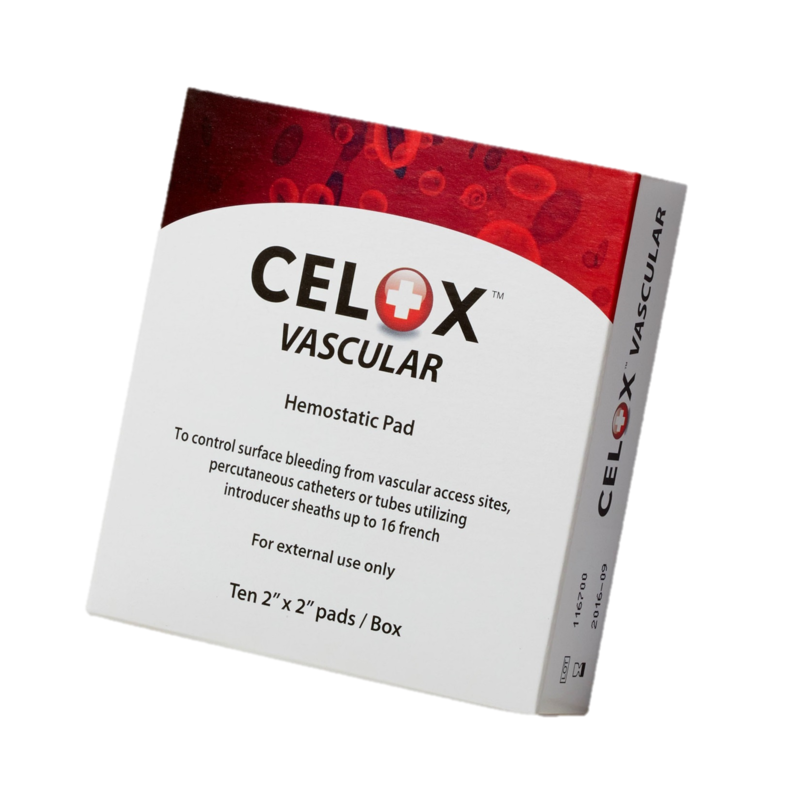 These make Celox™ Vascular the cost-effective method of achieving hemostasis post catheterization.